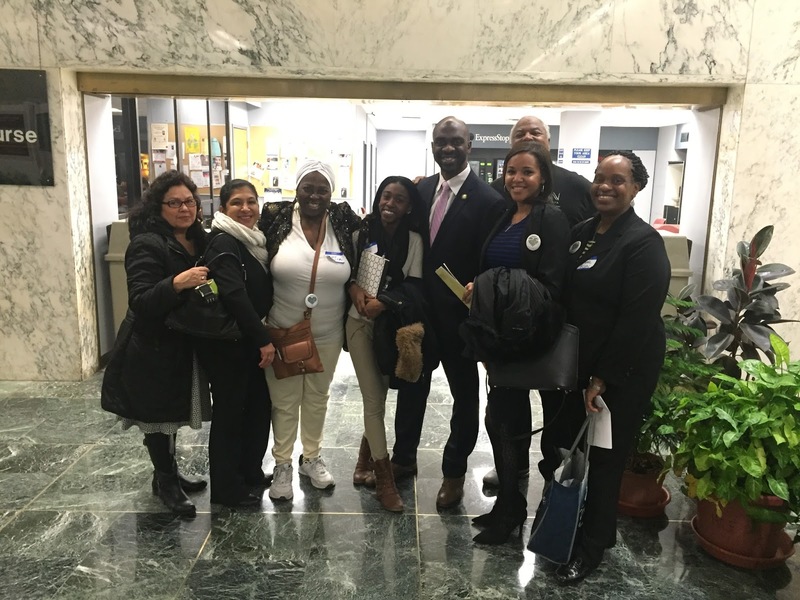 A team of supporters from Bronx Community Health Network (BCHN) met with New York State Assembly Member Michael Blake on Advocacy Day. On March 7, 2016, community, homeless and migrant health center supporters – board members, staff, and patients – from across New York State traveled to Albany to meet with elected representatives and told them how much their communities depend on Federally Qualified Health Centers (FQHC) for high quality, affordable primary care services. A team of supporters assembled by Bronx Community Health Network participated in this Advocacy Day event. Check out more photos from Advocacy Day 2016 below.